WPL Fall Season Kicks Off Weekend of September 20-21st! The Fall WPL season will commence on the weekend of September 20-21st. Please make sure to prepare your teams and your committments for every weekend thereafter through November. The league will take off Thanksgiving weekend, but otherwise all intentions are for consecutive weekend play. Schedules will be created after league commissioner returns from mission on September 8th. All team captains should have received information from the league commissioner regarding payments. There are still slots available for the Saturday 1st Division, teams interested please reach out to soccerwpl@gmail.com. 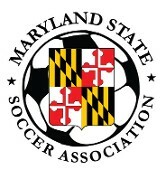 Please note that response may be delayed until after September 8th, but quality teams looking to crack into the top USASA-affliated league in the Metro DC area are welcome to apply.